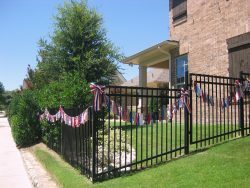 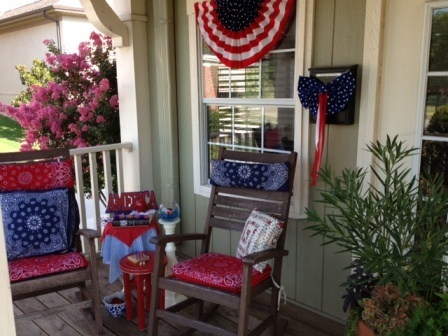 For the past six years, Tucker Hill has challenged its residents to show their true colors – red, white & blue, of course! 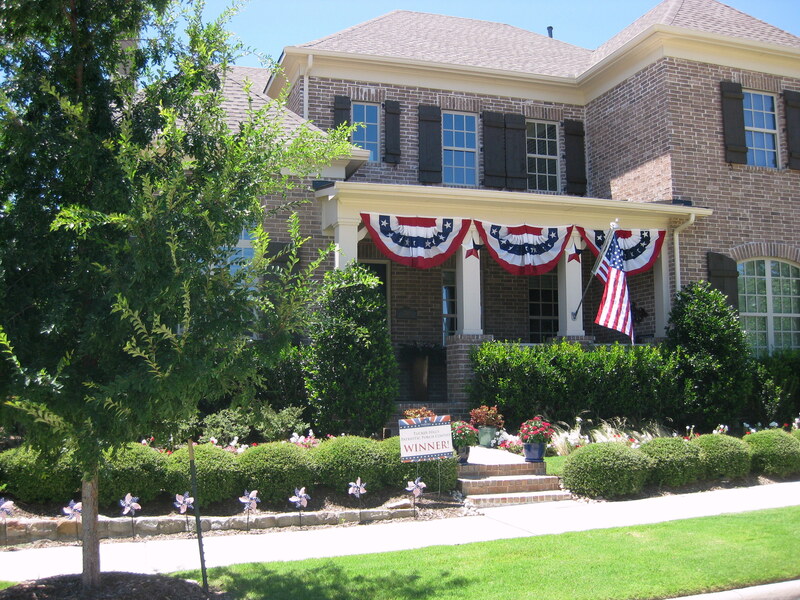 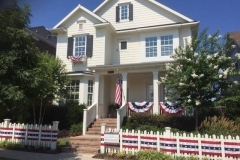 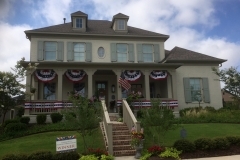 As July 4th approaches, our community is doing it again by participating in our Annual “Patriotic Porches on Parade.” This popular decorating contest highlights our front porches, landscaping and home exteriors with patriotic décor that can be enjoyed by all. 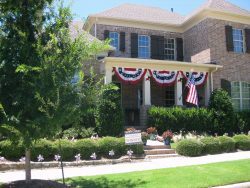 Because of this amazing display of USA spirit, our community has been touted as one of the most patriotic neighborhoods by the likes of WFAA – Channel 8, Front-Porch-Ideas-and-More.com, McKinney Courier-Gazette, McKinney Online and many more! 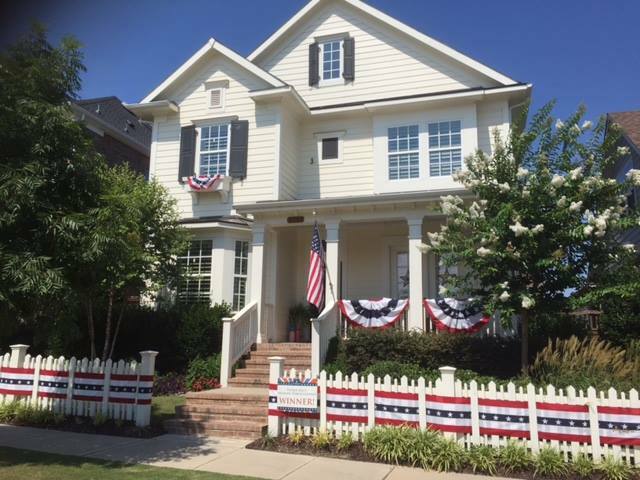 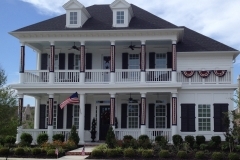 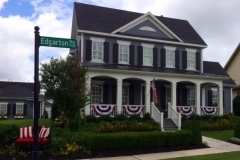 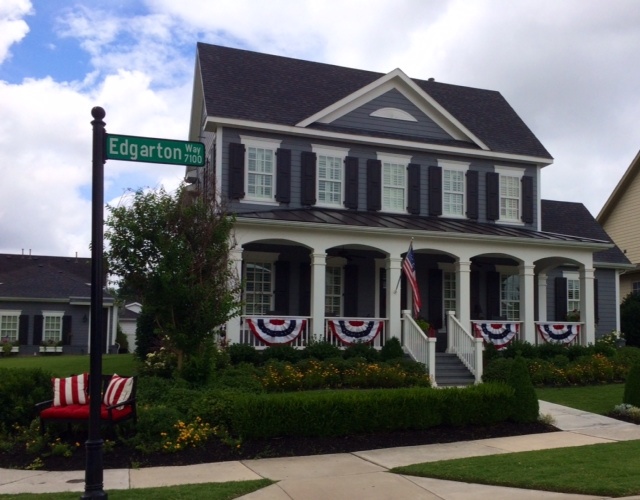 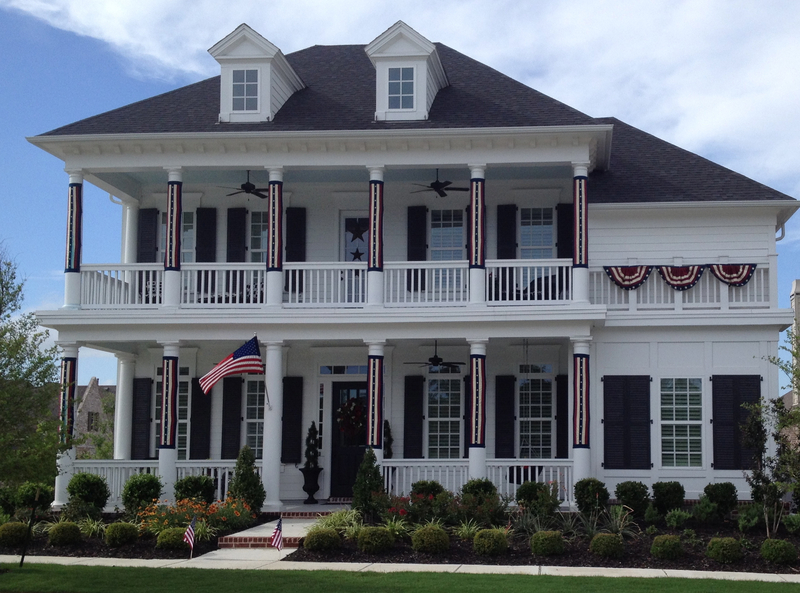 So, as you celebrate Independence Day, we encourage you to drive through Tucker Hill and see these homes in person. 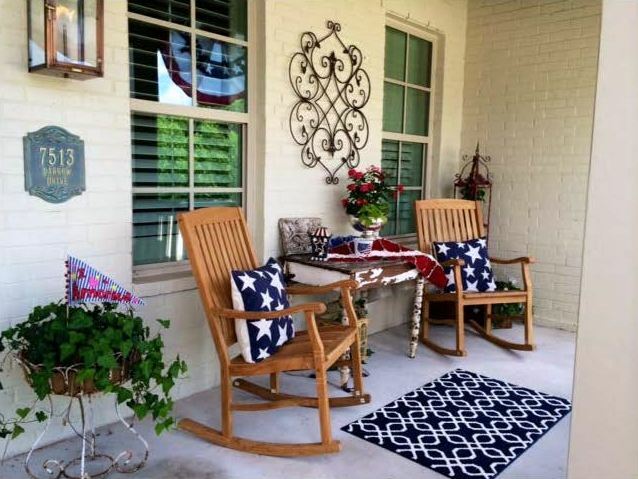 It’s like a living Pinterest Board! 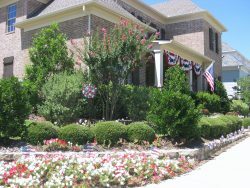 Photos can’t capture all details and angles, as many of these homes have decorated much more than can be seen in just one shot. 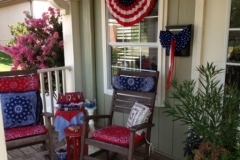 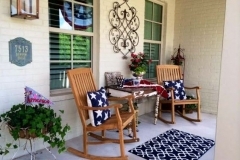 If you’d like to see more Patriotic Porches, view our photos below and check out all of our Holiday Homes found on our website Photo Gallery. 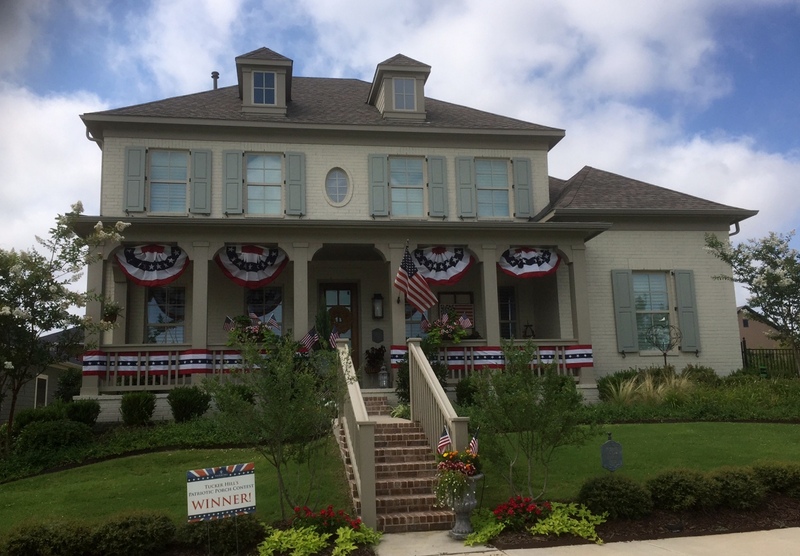 Here are some of our past winners and more favorites from this year and year’s past!